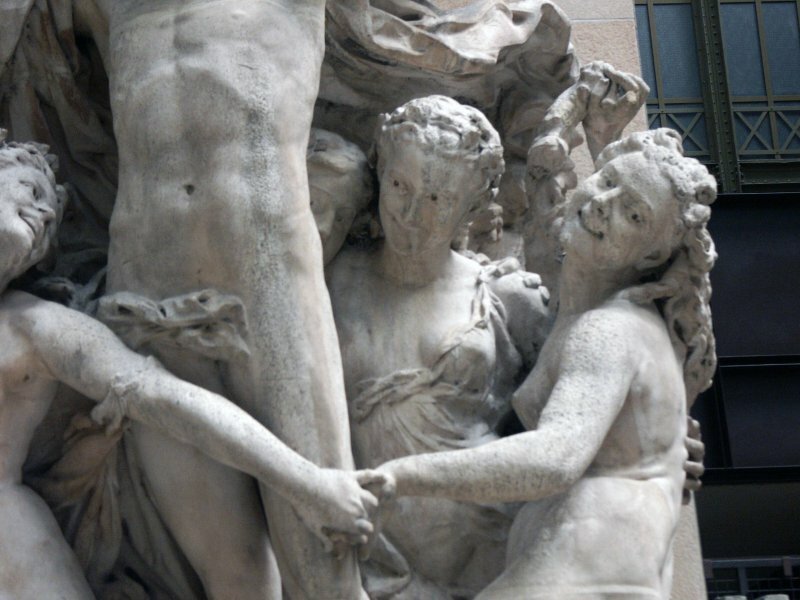 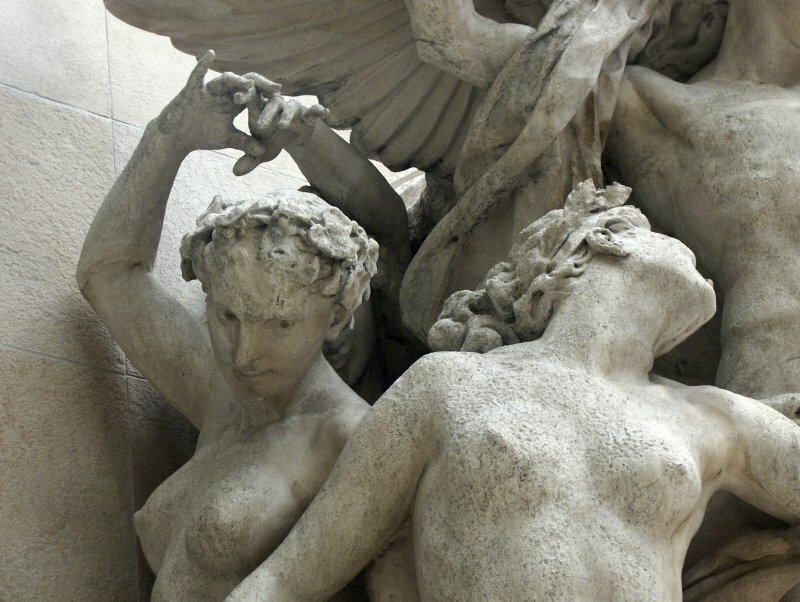 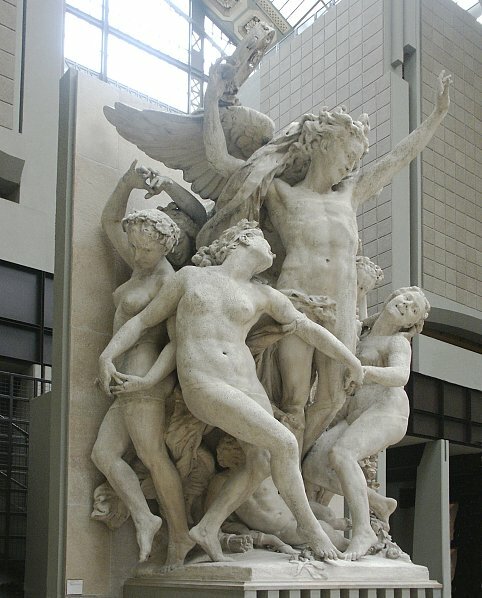 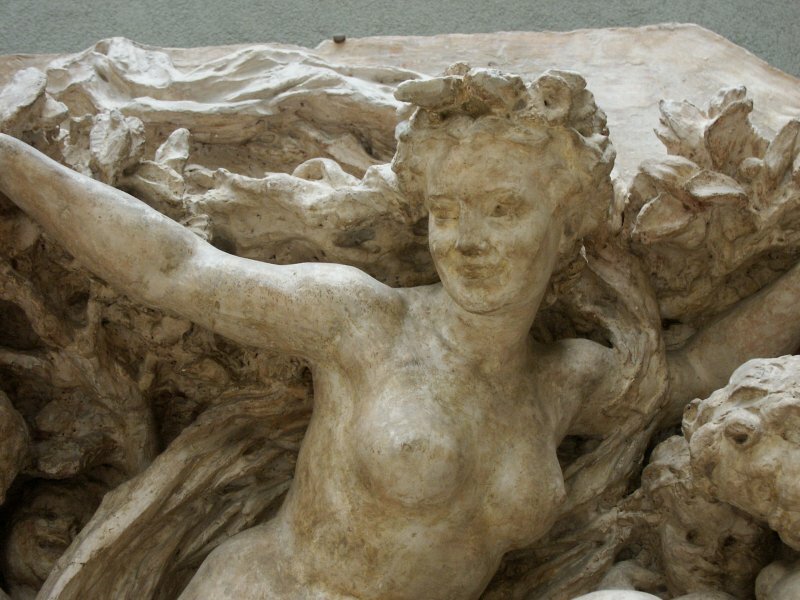 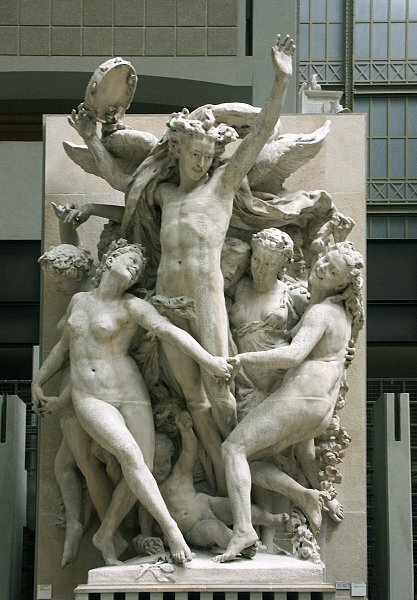 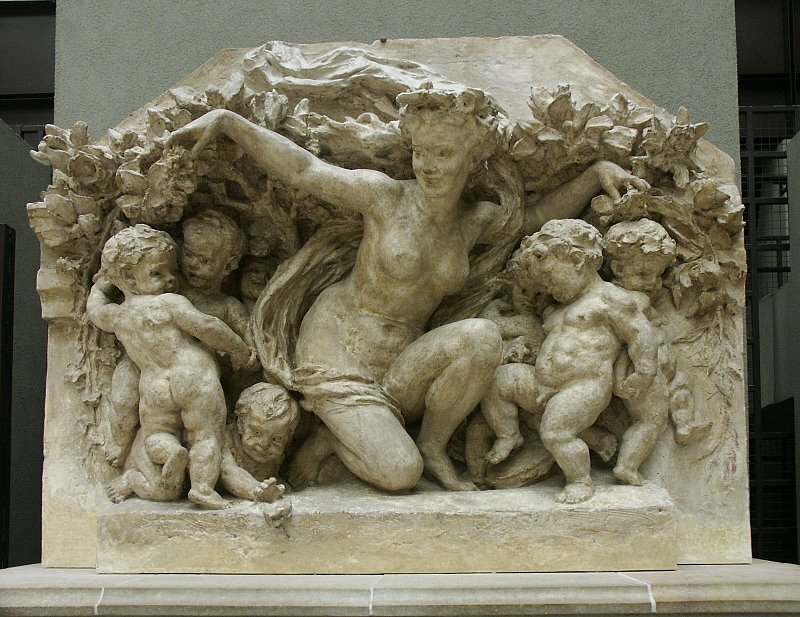 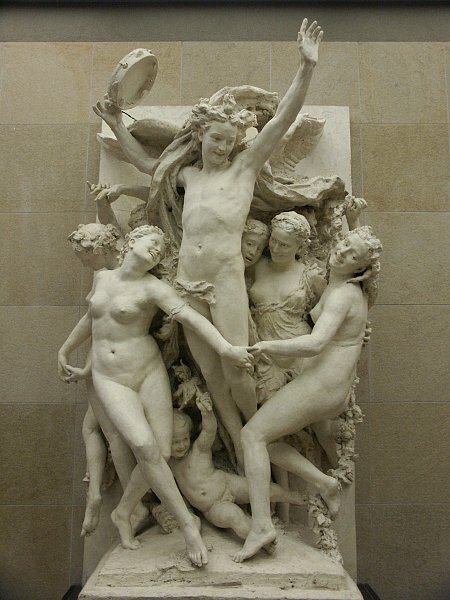 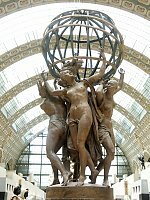 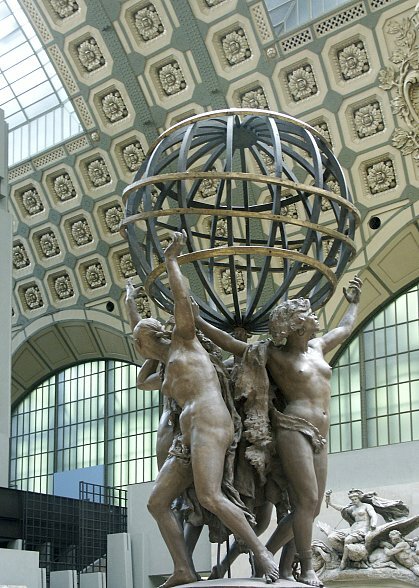 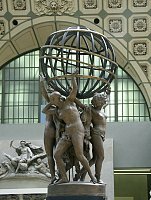 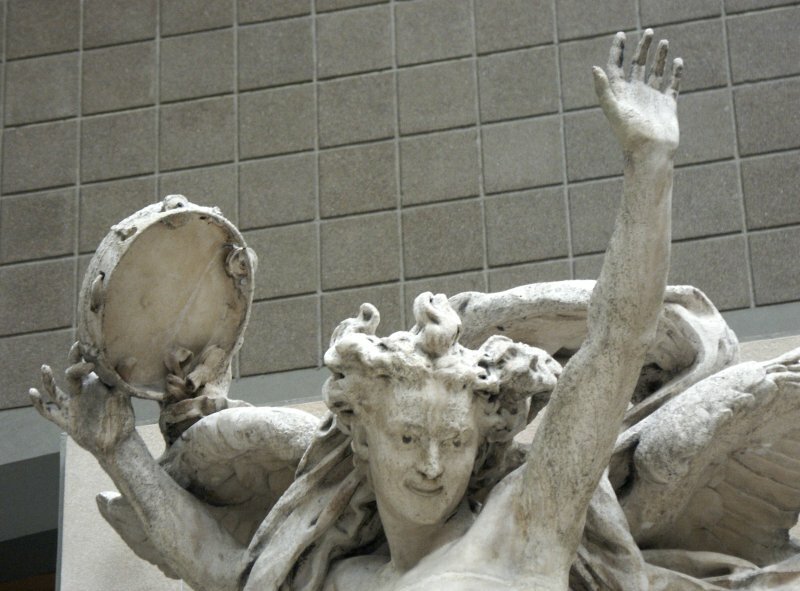 Images of sculpture in Musee d'Orsay by Jean-Baptiste Carpeaux. 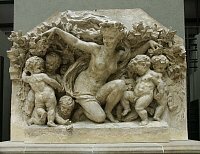 This unfinished work would have been a fountain in the gardens of the Luxembourg Palace with leaping horses, tortoises and the dolphins at the lower level. 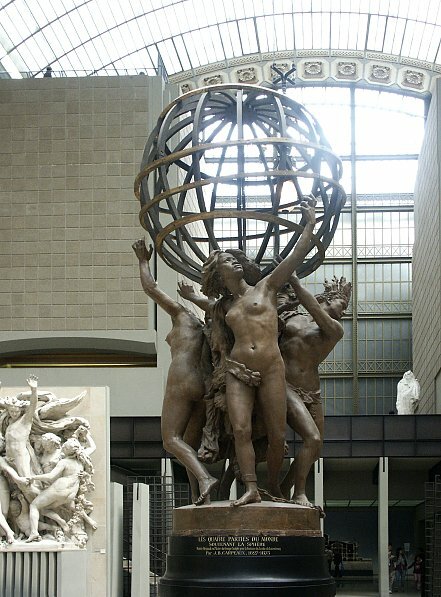 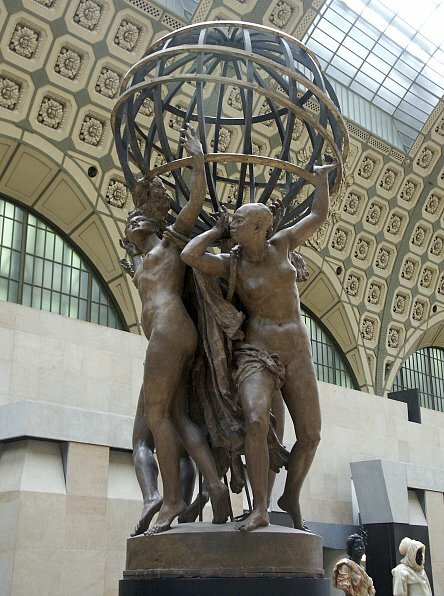 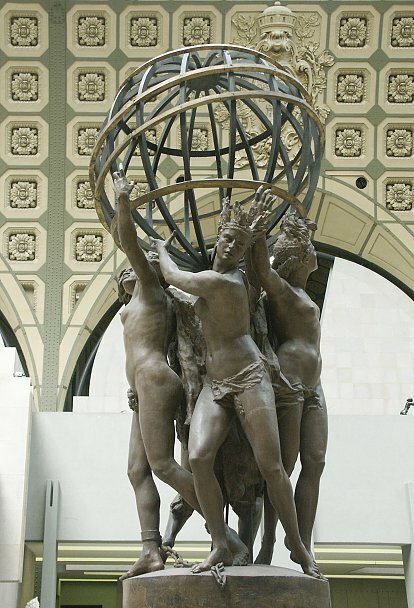 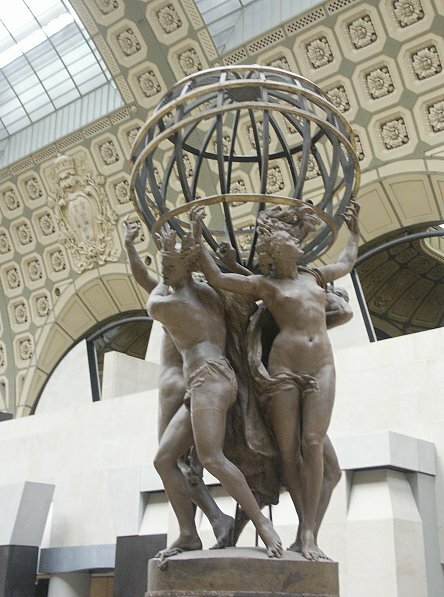 He finished the upper part with four figures of Asia, Europe, America and Africa supporting the globe. 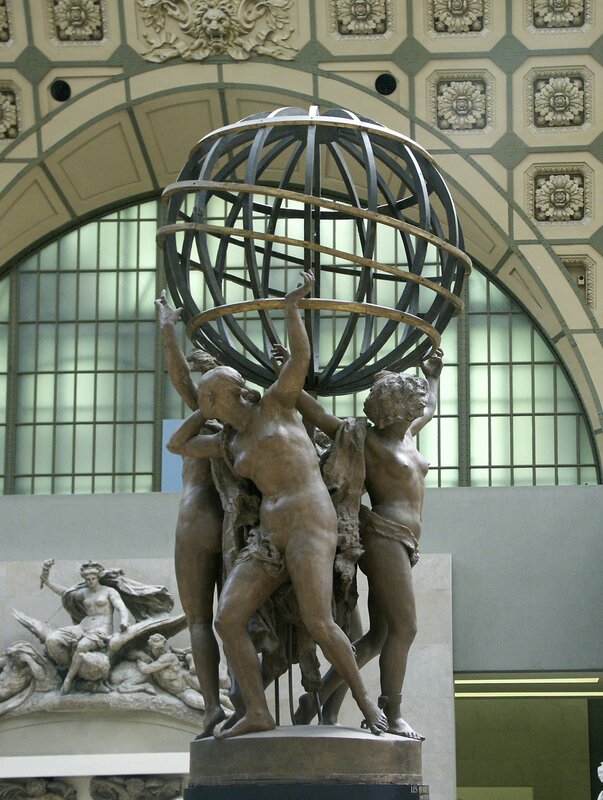 Click here to see the home page of Bluffton University. 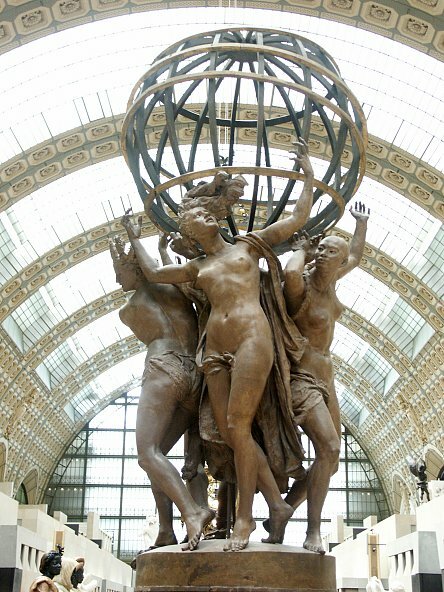 © 2007 Mary Ann Sullivan. I have photographed (on site), scanned, and manipulated all the images on these pages. Please feel free to use them for personal or educational purposes. They are not available for commercial purposes.